Dream Team Pets is much more than a bedtime toy-it’s an innovative kid’s sleep aid that helps end the bedtime battles of trying to keep your child in bed. 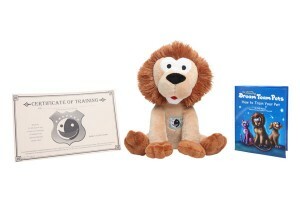 Developed with the help of a pediatrician, Dream Team Pets bedtime routine empowers kids as they reward their Pet with stickers and a certificate for a good night’s sleep. This entry was posted in Cool Ideas, Coupons, Other Fun Stuff. Bookmark the permalink.